Brian Michael Daubach was born February 11, 1972 in Belleville, Illinois. The six foot left hand hitting outfielder was drafted by the New York Mets in the 17th round of the 1990 draft. 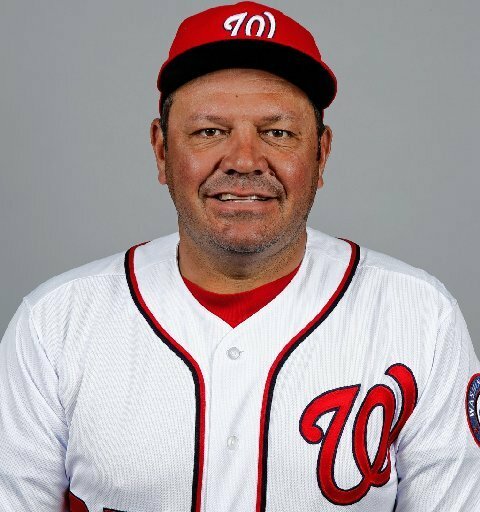 He toiled in the Mets minor league system striking out over 100 times a season from 1994-1996. In 1996 he began to hit for power (22 HRs & 82 RBIs) but was granted free agency that October and signed with The Florida Marlins. He hit for more power in the Marlins system, having a great year at AA in 1998 with 35 HRs 45 doubles & 124 RBIs. He came up to the big league team for ten games that September but was released that November. 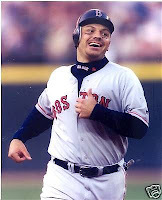 He then signed on with the Boston Red Sox a month later. Daubach found a home in Boston for the next four seasons as the Sox first baseman & designated hitter. He hit .294 with 21 HRs 33 doubles & 71 RBIs in his first full season. He would hit over twenty HRs with twenty plus doubles & drive in over 70 runs in each of the next three seasons as well. 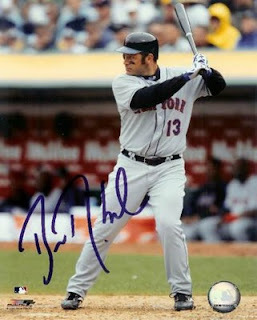 In the 1999 post season he hit two HRs with six RBIs although he only batted .212 in the ALDS & ALCS combined. He signed on with the White Sox for one season in 2003 playing in 95 games batting .230 with 6 HRs 21 RBIs & a .352 on base %. He was lucky enough to resign with Boston for 2004, playing in just 30 games hitting a pair of HRs with 8 RBIs and a .215 average. He didn’t play in the post season but can say he was a member of the Sox 2004 Championship team. 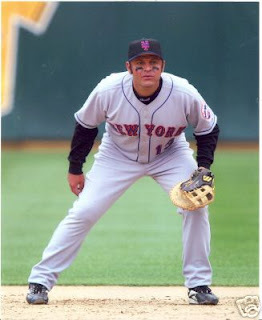 In 2005 he signed with the New York Mets and began the year at AAA with the Norfolk Tides. In mid June he got the call up to the Mets and debuted on June 16th, drawing three walks in an inter league game at Oakland against the A's. The next day he got his first Mets hit in Seattle after getting the start at first base. On the same road trip he drove in two runs at Philadelphia including hitting a pinch hit HR on June 21st against Ugueth Urbina. He was only around for 15 games playing at first base, DH & as a pinch hitter, batting .259 with a HR and three RBIs. His playing career was over at the age of 33 and after a brief seven year career he batted .259 with 525 hits 93 HRs 139 doubles and 333 RBIs in 661 games. Retirement: Since his playing days he has coached & managed in the minor leagues. He is now the manager for the AA Harrisburg Senators, a Washington Nats minor league team. He has coached for the Syracuse Chiefs & in New Hampshire for a Canadian baseball minor league team. Brian has also appeared as a co-host on Comcast cable for sports commentary & covered the 2006 World Series for FOX.